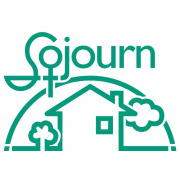 Established in 1977, Sojourn provides adult and child victims of domestic violence a safe space to regroup, rebuild, and re-establish their self-esteem and lives. Our diverse programs serve victims of all classes, cultures and ethnicities, sexual and gender identities, and religions, regardless of economic circumstances, physical and mental disabilities or immigration status, including those who are traditionally underserved, such as members of the LGBTQ community, elderly people, prostitutes, people with HIV, and people suffering from substance use disorder. Sojourn fosters solidarity among victims, educates the community and society, and is committed to effecting political and social change through grassroots activism and a philosophy of individual empowerment.